LUCKY NUMBER 13, BABY!!! I am so freaking stoked about my marathon training and how it’s going. Like, seriously. I’m having a blast with it too! • Tuesday: nothing because of overtime. • Wednesday: I ran 7 miles within a 6 second spread between 9:40 and 9:45. WOOT! That’s essentially 7 miles at marathon goal pace! I struggled a little in miles 2 and 3, but I don’t usually get warmed up until after mile 3 anyway, so that wasn’t much of a surprise. Mile 2 was my fastest mile and mile 3 was my slowest. 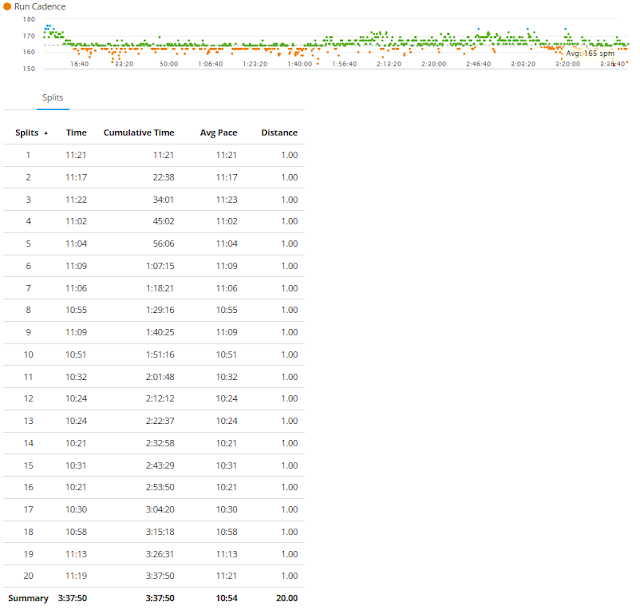 My splits were – 9:43, 9:40, 9:45, 9:42, 9:43, 9:42, 9:43. 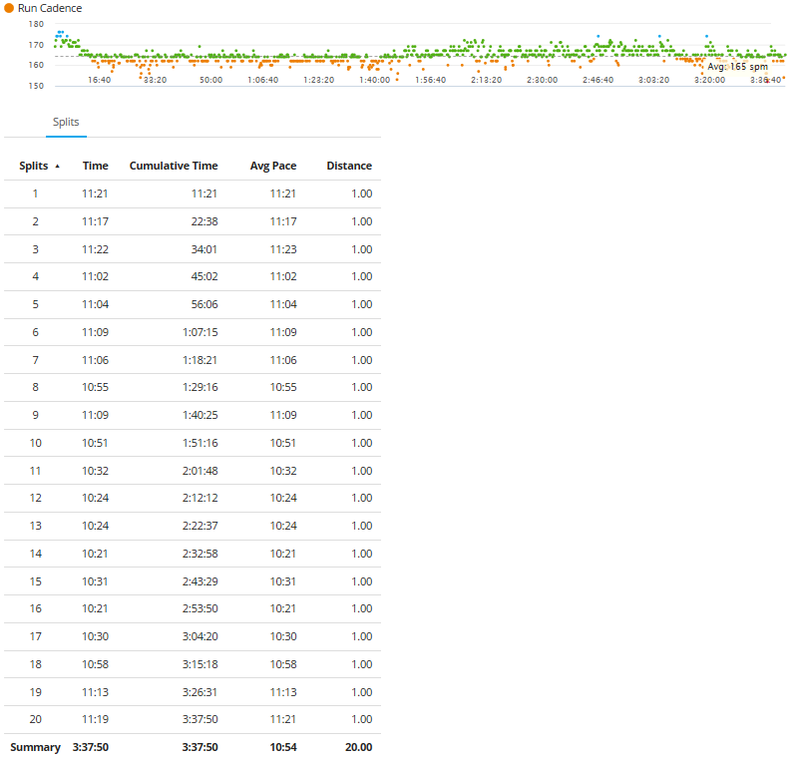 Marathon goal pace for me (for SPI next month, that is) is 9:43 (or faster). I had bought and downloaded some military cadences, so I listened to those while I ran this morning and I think they made a huge difference. They distracted me more than just regular music does and my run just flew by! • Thursday: nothing because of overtime. 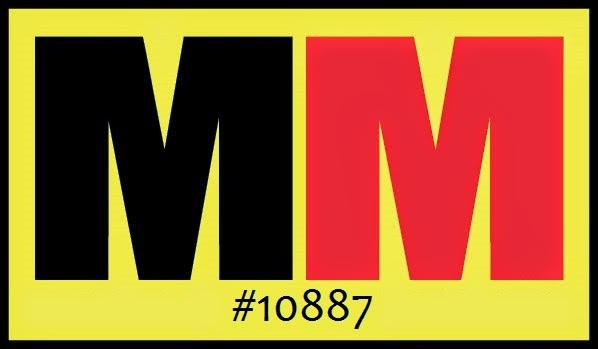 • Friday: 9 mile tempo run…NAILED IT! 2 mile warm up at slow long run pace, 5 miles between 9:28-9:32, then 2 miles cool down at slow long run pace. I love how much easier these faster paces are for me. 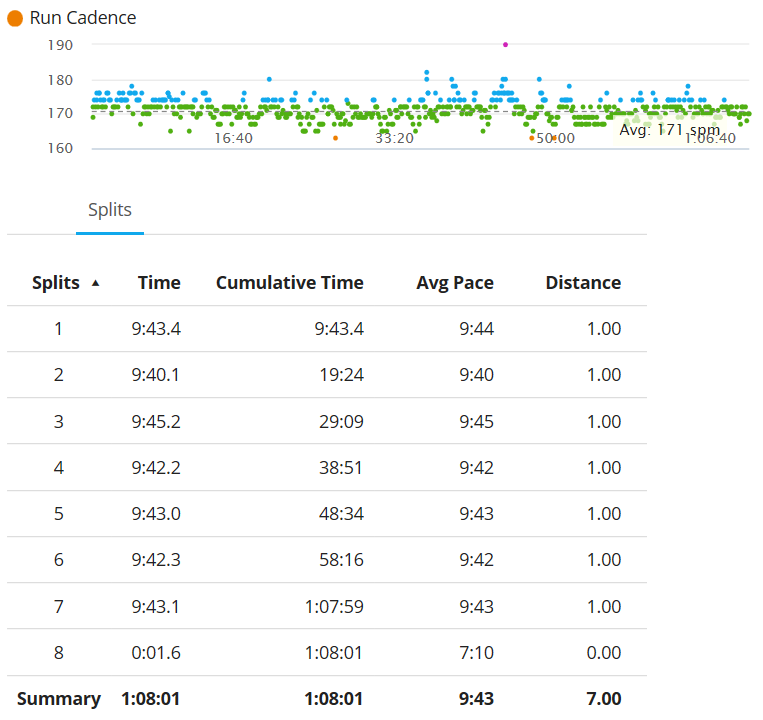 I guarantee that 2 months ago, even if it hadn’t been super hot because it was the middle of summer in Texas (so if it had been fall/winter temps), that there is no way I could sustain and hold a 9:30-ish pace for 1 mile, let alone 5 with it being just comfortably hard. I want to say that listening to the military cadence while I’m running helps to motivate me. So I’m going to download some more so I have even more variety of cadences to keep me motivated! • Saturday: I didn't do any workout. i meant to but was far too busy. • Sunday: long run day! And no race to help break it up, so I had to make my own game to break up the run and keep it fun and interesting for me. 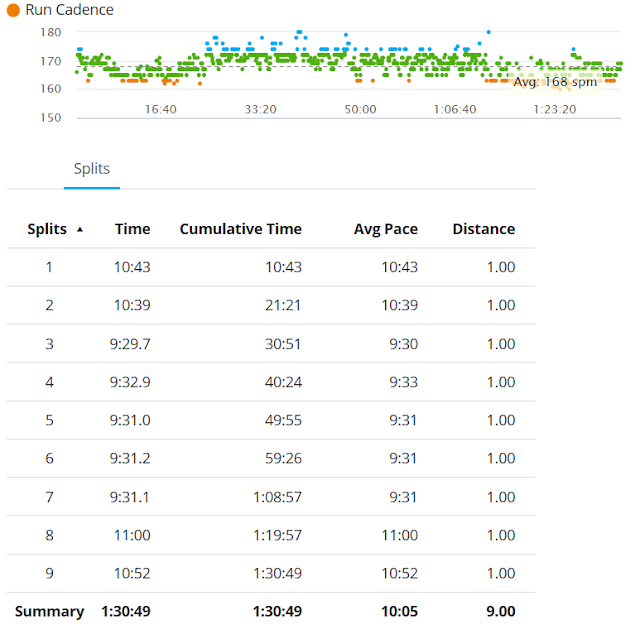 My initial plan going into this long run was to do a 3 mile slow long run pace (about 10:40-ish), then kick it into MGP gear (9:43-ish) for 13-14 miles, then cool down at the slow long run pace for 3-4 miles. Total of 20. However, I ran fairly hard last week and I have a relay coming up Friday-Saturday this week that I’d like to run kinda hard so our team can get a good finish time, so I decided to take it easy for all my other runs this week. 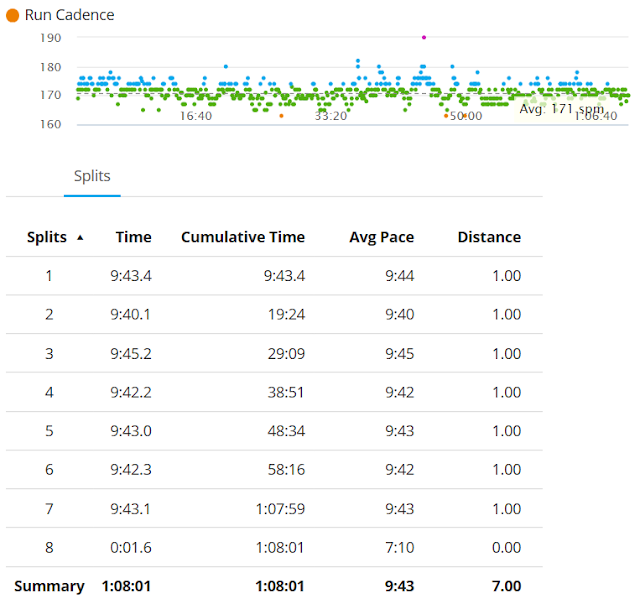 So, instead of that wonderful tempo idea for this run, I just did a negative split between the first and second halves of the run. 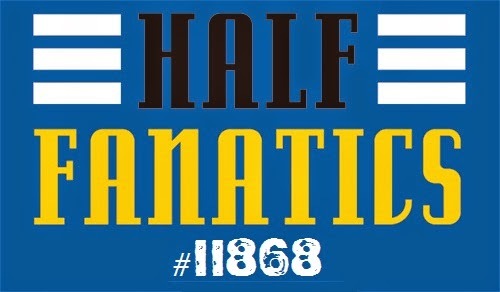 The first half was complete in 1:51:16 and the second half was done in 1:46:34. OH YEA! Not a huge difference, but a negative split nonetheless, and that's what matters! • Monday: nothing. I slept in and let my body rest. Although not doing a shakeout run like I’d originally planned on doing means that I’m more sore than I would have been otherwise. I’m really, really enjoying making games out of my pacing during my runs. It really helps make them be even MORE fun than they already are for me. Always, I never thought I could hold a steady pace during a run on purpose because my mile paces during a run are so erratic. I had no idea how people could “hit paces” and make their mile times be all the same or within a few seconds of each other. Now I understand and I love doing it! I love a good challenge and when I challenge myself to hit a certain pace or keep all my miles within a small window of seconds, it’s a challenge and therefore more fun than “just” running! I had a scare last week. I got bored one morning and went on the SPI website and was perusing around and saw that you could search the registrations. So I searched for my name and came up empty handed. WHAT?!??! So I went to my email and pulled up my receipt from imAthlete for my registration. I then went to their website and it said my confirmation # was invalid and that there was nothing matching my email address. Needless to say I FREAKED out! I emailed the marathon and imAthlete. imAthlete got back to me within 24-ish hours and emailed me a copy of my invoice. Whew. I still have no idea why it was saying my confirmation # was invalid. Their website was messing up and timing out a lot, so maybe it was just a glitch on their end. I finally heard back from the marathon people and they let me know that I am for sure registered and that she doubled checked. YAY! During my long run this week, I did dates for the first time as a during run fuel. I didn’t take them until about mile 13 (first fuel of my 20 mile run) because my stomach was upset, but when I took them, they were really easy to eat on the go! I just cheeked on and chewed on it, then spit out the pit (Costco doesn’t have them with the pits removed unfortunately). I was a little out of breath when I would get done eating one as I breathe through my mouth, but other than that, no issues! So they’ll work for me! YAY! Just a girl writing about running, her attempts at weight loss and life in general. Picture Window theme. Theme images by kellykellykelly. Powered by Blogger.